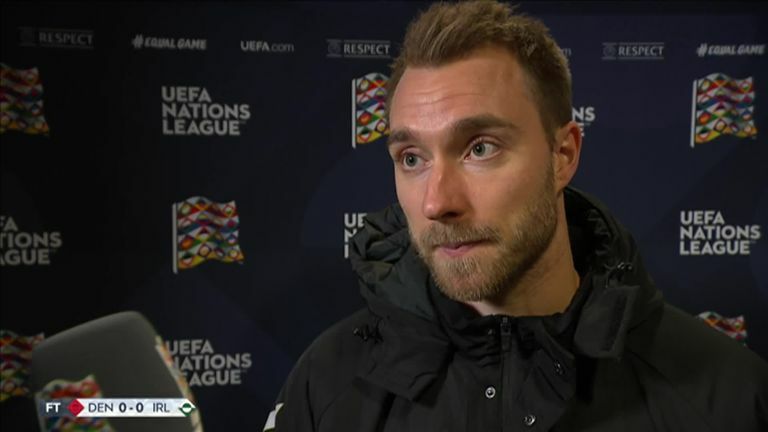 Christian Eriksen thought Republic of Ireland were “too scared” to attack against Denmark during their 0-0 draw in Copenhagen. Ireland failed to score for the fourth game running in all competitions – the first time they have gone four games without scoring since May 1996 – as they ended their UEFA Nations League campaign with a disappointing draw in a game where Denmark created all the chances. Nicolai Jorgensen struck a post after some comical defending by Richard Keogh, but Denmark were very wasteful with their 76 per cent possession and had just one shot on target from 26 attempts, while Ireland had no shots on target from just three attempts in total.